Atrium Health has countersued its provider of anesthesiology services. Southeast has alleged that Atrium wanted it to make changes it believes would reduce patient care. Southeast has also cried foul over Atrium’s decision to go with a new provider that’s owned by a doctor who was a consultant for Atrium. Southeast claims the consultant had access to confidential business information. Atrium says in its lawsuit filed Wednesday that it’s all part of a disinformation campaign. Atrium says a big sticking point in negotiations with Southeast was the company’s refusal to agree to a new billing model for Atrium’s CMC Facilities in Charlotte. In that model, Atrium would directly bill patients for anesthesiology services. Atrium’s lawsuit says the new model is more efficient and lowers costs for patients. Atrium’s lawsuit also paints Southeast as a company that emphasizes profits over patient care since it was purchased in 2010 by a publicly-traded Florida company called Mednax. Atrium in its counter suit alleges Mednax employees defamed the hospital by knowingly and purposefully publishing false information. The suit also claims Mednax breached its contract by sharing a confidential presentation with the public. Atrium is also charging Mednax with using unfair tactics to bring Atrium re-start negotiations. Atrium officials have declined to comment further on the lawsuit. On Wednesday, CEO Gene Woods would not discuss the dispute with Southeast after speaking a health care summit in Charlotte. 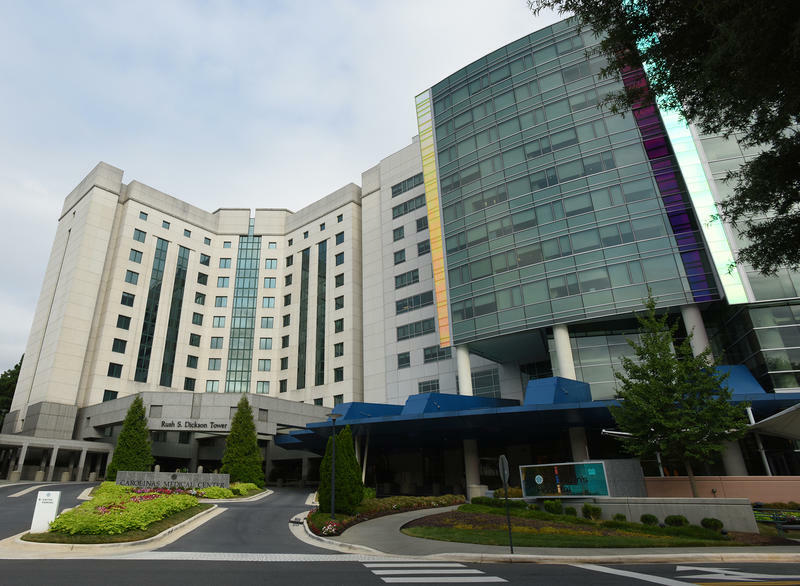 The lawsuit notes that Duke Raleigh Hospital and Cone Health in Greensboro have also decided to drop Mednax as their anesthesiology provider, and says that more than 50 of Mednax’s doctors in Charlotte and Greensboro have filed complaints with the state Medical Board over the company’s business practices.